Give your BLT sandwich some extra pizzaz and swap out fresh tomato slices for fried green tomatoes. It’s the season of cool pasta salads and what could be more delicious than one of our favorite sandwiches becoming a bowl of pasta loaded with bacon and fresh vegetables. A mild blue cheese and brie combo takes a regular BLT up a notch. The cheese melts over the bacon, lettuce, and tomatoes and adds wonderful flavor that is easy to create with fresh summer produce on a busy night. 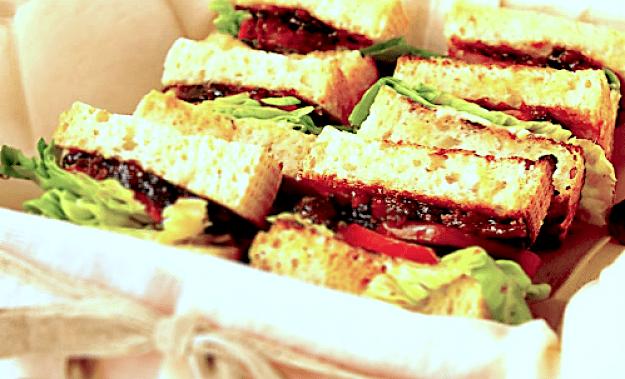 The BLT is a simple classic that includes some of the most basic ingredients. Read our step-by-step guide to improve on the already iconic sandwich. This bacon marmalade is great eaten directly from the jar with a spoon, but it’s better served on crusty bread with goat cheese, and even better on toast. This pasta has all the components of a classic BLT – (Turkey) Bacon, Lettuce (Spinach), and (Oven-Roasted) Tomatoes. Natalie McLaury considers herself a bit of a hoarder when it comes to magazines.